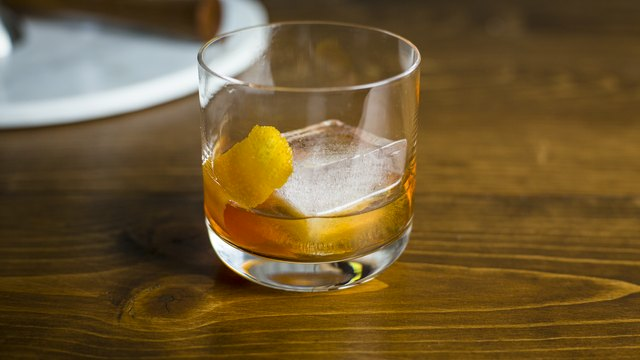 The Old Fashioned perfectly typifies the essence of the cocktail. It's made up of four simple ingredients which have been around since the invention of the cocktail: spirits, bitters, water and sugar. 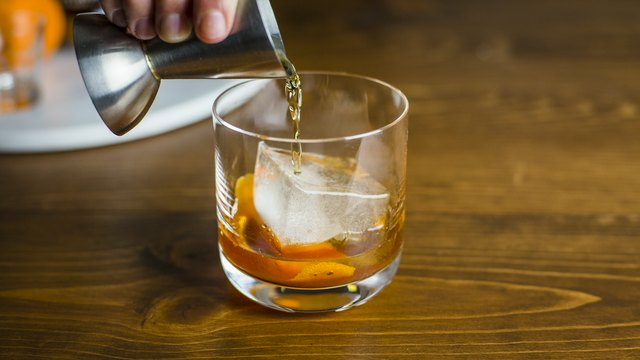 This recipe uses bourbon, whose natural notes of brown sugar, molasses, oak and honey make this drink all the better; perfect for any occasion. 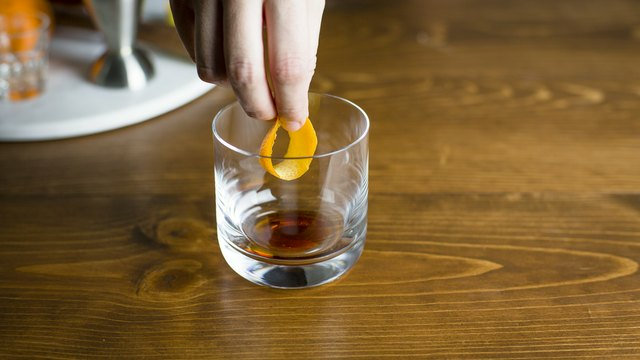 Add 3–5 dashes of angostura bitters to the glass. Using either a Y-peeler or a paring knife, peel off a thin layer of the orange's skin that's about 1 inch wide by 3 inches long. Place the peel in the glass with the skin side facing down. Be sure to avoid as much of the pith as possible when peeling the orange. The pith can make the drink taste bitter, so peel carefully. 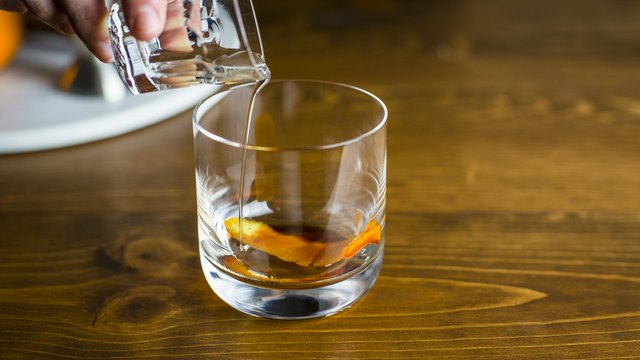 With a muddler, muddle the orange peel with the bitters a few times. Next, add in 1/2 teaspoon of the simple syrup. 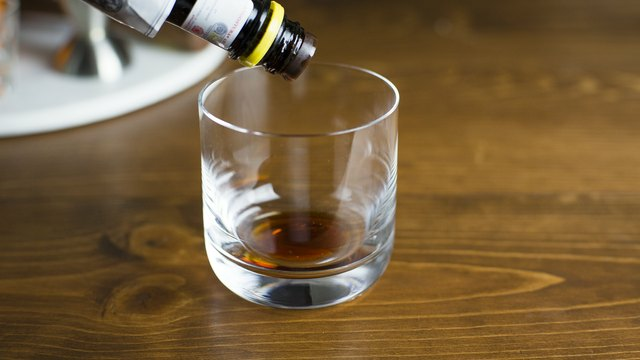 If a sweeter drink is preferred, add another 1/2 teaspoon of the simple syrup. Place the ice cube in the glass. 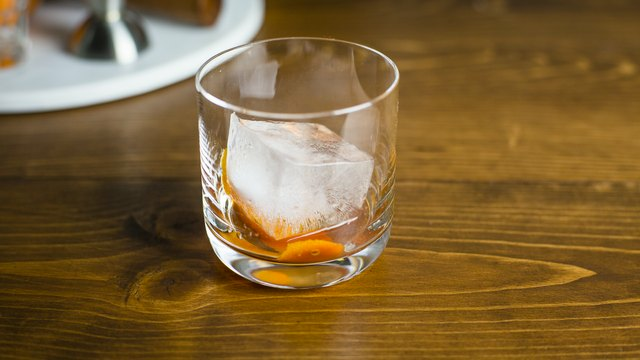 The larger the cube (or sphere) of ice the better, as you want to avoid dilution. Finally, pour the 2 ounces of bourbon over the ice. 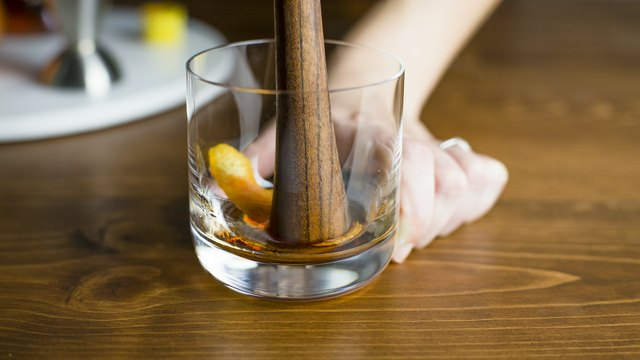 Give your glass a few stirs with a spoon to properly mix, and enjoy!